Drones: the hype behind this modern phenomenon is impossible to ignore. These unmanned aerial vehicles (UAVs) are rapidly progressing. Micro sized variations launch off fingertips and are pocket-sized. Larger versions equipped with high resolution video cameras, and algorithmic based auto-flight settings are available to the public. Delivery drones are no longer science fiction; they’ve become a mainstream idea, embraced by society. That being said, drones have a surprisingly rich history. UAVs resembling the drones of today surfacing as far back as WWI. However up until the last decade or so, drones didn’t seem feasible outside of warfare. In current times, that is certainly not the case. The world wants progressive ideas and those proverbial gears are rapidly spinning when it comes to UAV tech. 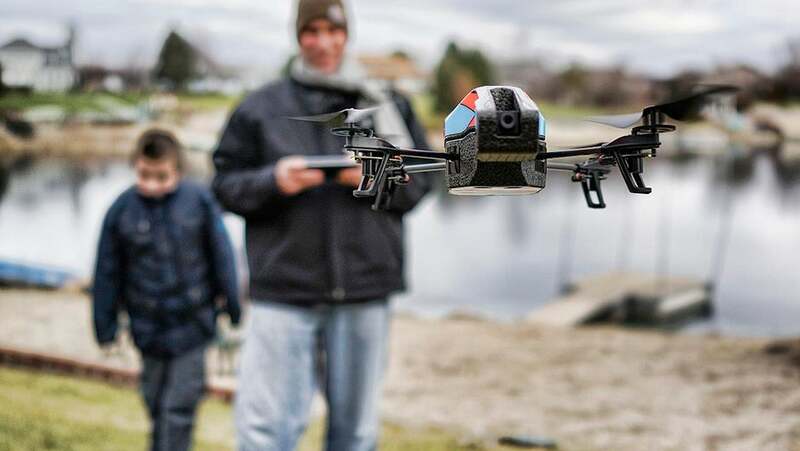 From action sports filming, to the Amazon Prime drone delivery service, to Nixie (the wearable selfie-taking drone) the potential applications for drones soar as high as they fly. Drones now have the capability to record extremely crisp high definition video, from just about anywhere you can imagine. 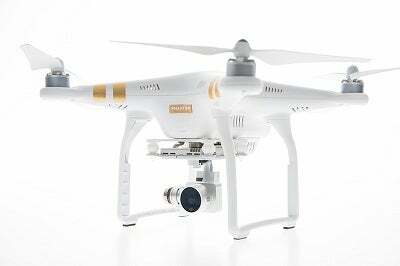 The DGI Phantom 3 is a present day technological feat. This drone is equipped with a professional quality camera that shoots in both standard 1080p and 4k resolution. Not many drones on the market can compete with such a powerful UAV, and even fewer can offer so much with such a low price tag. What’s even more impressive is that the Phantom 3, a fairly large quadcopter drone, is suitable for outdoor and indoor use! This is due to extra sensors and cameras mounted on the bottom as well as sensitive ultrasound and integrated GPS. This is proof for what’s in store for the future. There will be massive amounts of crossover from seemingly unrelated disciplines such as gaming and virtual reality, aeronautics, police technology, coding and programming, and even GIS and space exploration. While some drones use algorithms to aid in flight paths and safety, a video camera startup called Graava is using a similar formulaic method. This new company has revolutionized the definition of a user-friendly camera experience. Graava’s concept is simply revolutionary. In vein of the famous GoPro cameras, the Graava camera utilizes a variety of mounts and a sturdy camera interface. But it does something far more unique. The company has pioneered what’s known as self-editing camera work. A user can record for up to hours at a time, and are then obviously left with a copious amount of raw footage. That raw footage is then run through several algorithms which use image and color recognition to pick out the most interesting and unusual elements of the footage. Furthermore, the camera can link up with tech wearables and pays close attention to heart rate and breathing patterns. When something causes a rush of adrenaline or increased heart rate, Graava can determined that something significant or exciting has happened. It then marks the footage, and rolls out a trimmed down, refined video. Related: Drone video footage of whale watching in Hawaii! This will one day equate to a self-editing, self-flying, super drone, complete with intricate artificial intelligence. More than likely this type of technology will soon be available to the public, and serve the world with a multitude of useful purposes and services. What is in store for the future of drones, and what other tech intersections will occur? Post your thoughts and ideas in the comments section below.